how many times have you seen this: an adorable baby girl with beautiful bright eyes and a gleaming smile, only to be drowned by a giant flower on her head? ugh. it's a huge pet peeve. i get it though - her little newborn head doesn't have much hair yet, and you want people to know she's a girl. fair enough. enter the NYC-based petite soul. there are few things in life cuter than babies in bonnets, wouldn't you agree? 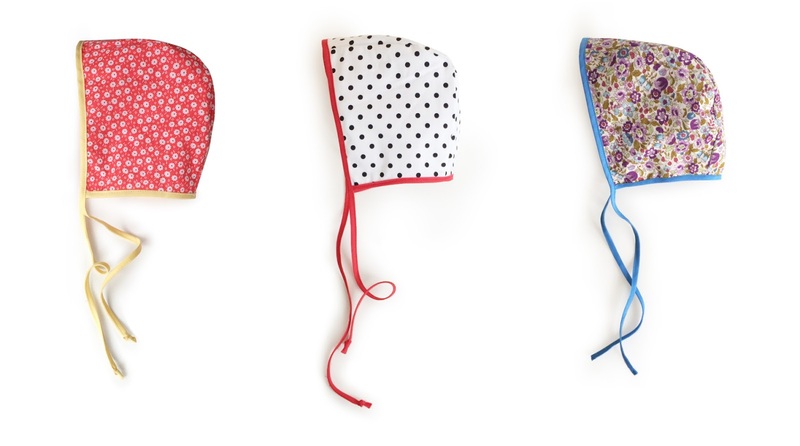 petite soul has updated the classic bonnet (and bandits for boys!) in fun prints and a more streamlined cut -- because listen, it's 2014 and girlie doesn't have to scream frilly. all the fabrics are sourced in the garment district and are made here in new york -- we love made in NYC!